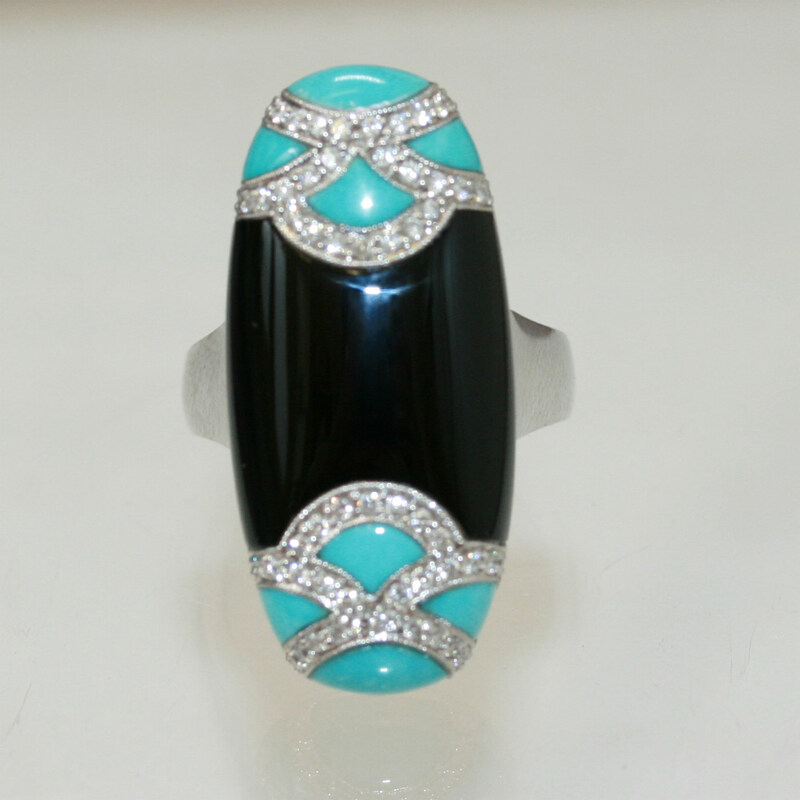 Onyx , turquoise and diamond ring. Product code: 600 Categories: Sold Items, Sold Rings. Now this is a ring that will get attention! Made in 18ct white gold, this brilliant ring is made and set with onyx, turquoise and wonderful brilliant cut diamonds. The ring sits perfectly on the finger, and is such a wonderful design, you really don’t need anything else on the same hand. With these colours, this is a ring that you will fall in love with!